What is the most frequently cited OSHA violation? How do I know if my SDS implementation is complete enough to satisfy OSHA? Do I have to keep every SDS that I receive? If I have the same chemical from different manufacturers, do I need to keep all their SDS’s? Can I throw away old or outdated SDS’s? Where can I find an SDS for an old chemical? What if I need an SDS and the manufacturer no longer exists? Are resources such as the Merck Index or Physician’s Desk Reference (PDR) acceptable substitutes for SDS’s? How come I don’t always get SDS’s when I order chemicals? I thought manufacturers were required to give me one for every chemical I purchase. When does an SDS need to be revised or replaced? Do I have to use hard copies or can I use a computer database or web-based system for SDS’s? What is the “ready access” requirement and what is a “barrier” to ready access? What are the penalties for non-compliance with SDS requirements? We have a large site. Does having one site-wide SDS repository satisfy OSHA? What requirements are there for contractors or multi-employer sites? How does OSHA want me to organize my SDS filing system? What’s the best solution for me? How do you recommend I handle my SDS collection? Does the Where to Find SDS’s on the Internet page meet the intent of OSHA for SDS availability in the workplace? Does distributing SDS’s to my employees fulfill OSHA’s hazard communication training requirement? Some of my employees don’t speak English. Do I have to make any special provisions for these workers? How much does it cost us to maintain SDS’s manually? Are we protected from liability if someone is injured because an SDS supplied to us is wrong but we had no way of knowing about the error? Where can I find SDS suppliers or software? 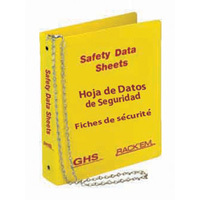 Where can I find SDS or safety-related books and training materials? 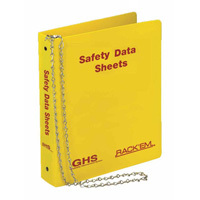 OSHA has a handy guide for reviewing SDS completeness at as Appendix H of CPL 02-02-079. The full Directive also contains lots of other useful information for Chemical Hygiene Officers. That really depends on how SDS’s are handled at your organization. If your employer uses a software program or Internet subscription service for SDS’s then maybe not (check with your supervisor, the answer depends on what state and federal agencies have jurisdiction, see also the section on paperless compliance below.). If the copies you received are exact duplicates (and not updated ones) of sheets that you already have in your “readily accessible” SDS collection, then there is no requirement to keep the extra copies on hand. However, be sure to carefully check the revision dates on your sheets to make sure there haven’t been any changes/updates that you might otherwise overlook! And should you receive an updated sheet, then be sure to read the question, “Can I throw away old or outdated SDS’s?” for information on what to do with the old sheet. When you get the same chemical with the same formulation from several different manufacturers the situation is a little more complex. See the next question below for more information. All employees must be trained that you are using one SDS as representative of all vendors (so there isn’t confusion during an emergency). The SDS must be complete and accurate. The manufacturer listed on the SDS is willing to act as the responsible party in the event of an emergency. There is no legal requirement for them to assist you with another company’s product. Later in the same document, OSHA writes The specific chemical’s SDS itself, not just “SDS information” must be available to workers. If the SDSs utilized in your electronic system are specific to each product and contain the same chemical identity as used on the required label of the chemical, so as to allow cross referencing between the two, then this aspect of your system would meet the intent of the standard. If the SDS provided is not product specific, the intent of the standard would not be met. Obviously, there is no harm in keeping an SDS from each manufacturer, and it probably takes less effort to do so than meeting all of the above conditions. Further, it is presunably in your best legal interest to maintain documentation from each supplier/source, particularly for your employee exposure records or in the event one had to, for example, sue the manufacturer(s) of the material at some future date. Consider that different manufacturers may come to different conclusions regarding the various data they report. Having that specific data in hand may be of particular importance when one manufacture, for example, overlooked a finding of carcinogenicity or reported a different freezing point etc. Also see the previous question in this FAQ, Do I have to keep every SDS that I receive? The question is not whether you can, but whether you would dare do so. A “harmless” chemical may later be found to cause cancer or other disease sometime in the future (asbestos is one good example). It is certainly to your corporation’s legal benefit to be able to produce documentation showing that you had supplied all the protective equipment and procedures necessary according the SDS you had at the time. In some cases, SDS’s may be a part of your OSHA-mandated “employee exposure records” and you would have to retain these for at least 30 years. See OSHA’s policy interpretation titled “Retention requirements for superseded SDSs” for more information. Also see our FAQ entry What are my rights to an SDS? You may have SDS’s (rather than SDS’s) that were created prior to the implementation of the HCS 2012 (see “What are Safety Data Sheets and Safety Data Sheets (SDS and SDS)?“). There is no need to go through your collection and find SDS’s for materials received prior to June 1, 2015 – but as you receive new shipments of those older materials, you will need to update your SDS collection with the new sheets. A common question is “Where can I find an old (10, 20, 35 years!) (M)SDS?” See the next two questions for more on that. Under the OSHA HazCom standard (HCS), manufacturing employers were not legally required to obtain, maintain, and make available upon request copies of SDS’s until May 26, 1986; see this official OSHA interpretation “SDSs for chemicals purchased prior to 1985“. If you have not received a new shipment of the material since then, you are in the clear. Of course, a reasonable question is “what are you doing with a 30+ year old chemical?” Use it up, recycle it or properly dispose of it! If the chemical is so vital that you can’t dispose of it and the solutions in the next question don’t help, consider having an SDS supplier author one for you. For chemicals that were delivered after the HCS took effect but are no longer produced, you can try the distributor you purchased the material from or the manufacturer directly per the principle of “downstream flow”. You may run into some issues if the material is no longer manufactured or has been reformulated, so some effort may be required. See the next question for one possible resource, the Wayback Machine, and more. 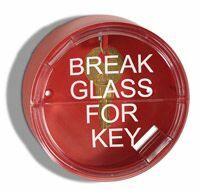 The big issue is what to do when the manufacturer has gone out of business or merged. That situation is discussed in the next question. OSHA has confirmed that manufacturers who are no longer in business or who have discontinued a product line do not have to provide SDS’s. See “Requirements for manufacturers, who are no longer in business or have discontinued a product line, to provide SDSs and product information” (May 27, 2004). However, most people asking this question didn’t get around to getting one in the first place. Avoid falling into that category by establishing a formal inventory/review procedure for hazardous materials in your workplace. In laboratories, this would be incorporated into the Chemical Hygiene Plan. Either way, if you regularly review your inventory so as to use up or dispose of chemicals older than say, three years, you are likely to never encounter this problem. Many of our visitors use these weather-resistant SDS storage boxes like this one. We have 3 different sizes available at www.SafetyEmporium.com. As far as the impact this has on an workplace where these obsolete chemicals are still in use and no (M)SDS was ever obtained, we have been hard-pressed to find an actual OSHA interpretation. Our best guess is that they would require you to make a documented “good faith” effort to locate a sheet, starting with the manufacturer (see OSHA Field Operations Manual CPL CPL02-00-159 for more about good faith). If you are not using an SDS software package or SDS supplier who can assist you, start by figuring out what happened to the company. While many companies go bankrupt, their assets and product lines are usually acquired by other manufacturers. Try a web search on the company name. The U.S. Securities and Exchange Commission keeps records of publicly-traded companies, mergers and acquisitions, so you might try there as well. One resource that might work is the Internet Archive’s Wayback Machine which preserves snapshots of web sites over the years. If you know or can determine the web site of the company, enter that in the Wayback Machine and you may be to browse your way, for example, to the SDS’s that Solutia had in 2004 (they were bought by Eastman Chemical in 2012). If all else fails, see if you can find an SDS for an identical formulation from another manufacturer (see “Do I have to keep every SDS that I receive?” above and OSHA comments on generic SDS’s in the previous section). As long as you’ve made documented efforts such as these and you don’t have any willful violations of any type you are probably (this is our best guess) looking at a “de minimus” violation, i.e. one where OSHA might note it during an inspection but not assess a penalty. If you are looking for the SDS because you have the material in your current inventory, one might be tempted to simply use it up to eliminate the need to have the SDS. However, you still need to document your company’s use of that material under 29 CFR 1910.1020, Access to Employee Exposure and Medical Records, and the SDS is normally the easiest way to do that. And while you might be tempted to simply dispose of the material as hazardous waste, it’s most likely that the disposal firm would require you to produce an SDS before accepting the waste. No. These do not supply all of the information required by the OSHA Hazard Communication Standard (HCS), 29 CFR 1910.1200 paragraph (g)(2). With the first shipment of a particular chemical. With the first shipment after the the SDS has been updated. Upon request, if you are a distributor or employer. The second and third items only occur if you purchase the chemical after the sheet was changed. If you bought the chemical and the sheet was later updated, few firms would even attempt to let you know. But the next time you buy that chemical they have to send you the updated sheet. Failure to provide provide SDS’s with shipments or upon request would be considered a severe violation during an OSHA inspection, meaning that each incident is potentially subject to maximum fines exceeding $12,000. 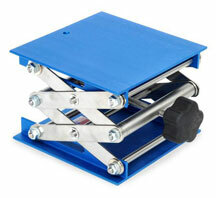 Get a grip on your laboratory equipment with clamps and supports from Safety Emporium. For over-the-counter retail or wholesale sales to employers (but not consumers), paragraph (g)(7) of the HazCom Standard requires the seller to provide the SDS upon request and to post a sign that an SDS is available. If a retailer does not have commercial accounts and does not use the material, then they are ony required to provide an employer with the contact information for the distributor, manufacturer or importer who can supply the sheet. Some chemical suppliers ship SDS’s with every shipment, others hold to the minimum standard. The latter practice can be a real pain at a large organization where it may be the first time you ordered that chemical, but it’s not the first time your employer (i.e. the purchaser) did. Fortunately, most manufacturers are happy to provide additional copies of an SDS if you simply contact their customer service department and ask. In fact, many of them have realized the benefit of making all their SDS’s freely available on the Internet. As required under the OSHA Hazard Communication Standard 29 CFR 1910.1200, a safety data sheet (SDS) must precede or accompany the initial shipment of any hazardous material defined as such under the Act. For items previously ordered, an SDS must also be supplied if the SDS has changed since the previous shipment. Another good idea for over-the-counter purchases is to require your employees to provide not only receipts for their purchases, but SDS’s. According to OSHA 1910.1200 (f)(11), a new SDS must be issued within three months (and the labels updated within six months) if either of these conditions are met. As described elsewhere in this FAQ, the old SDS should be retained to potentially limit future liability. Recognize that this update requirement does not require the manufacturer to send a new SDS to you if you purchased a chemical prior to the SDS update. In other words, your SDS’s will go out of date from time to time. It is a good idea to review your collection on a set basis and to update your sheets. What time frame to use is up to you. The NTP updates its annual report on carcinogens each year, but perhaps longer is more appropriate depending on the nature of the materials and your business. You should consider setting a corporate policy on the matter. Alternatively, you can subscribe to an SDS software vendor or SDS supplier so you always have up-to-date sheets. Those of you in Great Britain (and presumably the rest of the European Union) will be pleased to hear that CHIP requires the supplier to notify anyone who received the material in the previous 12 months if there is a change in the SDS. See the European entry in the International section of this FAQ for more information. In some countries, SDS’s have expiration dates. See the International Section of this FAQ for Canadian and European regulations. SDSs must be readily accessible with no barriers to employee access. This means reliable devices accessible at all times without the employee needing to ask anyone for permission. Workers must be trained in the use of these devices, including specific software. There must be an adequate back-up system and written plan for rapid access to hazard information in the event of an emergency including power-outages, equipment failure, on-line access delays, etc. The system of electronic access is part of the overall hazard communication program. Employees and emergency response personnel must be able to immediately obtain hard copies of the SDSs, if needed or desired. Failure to provide ready access or to have that emergency back-up system in place would be considered a severe violation during an OSHA inspection, meaning that it is potentially subject to maximum fines exceeding $12,000. For more on this (and from a manufacturer’s perspective as well) the official OSHA interpretation titled “12/30/1997 – Manufacturer and employer responsibilities when providing SDSs electronically“. The most popular types of electronic format these days are internet-based suppliers (which usually operate on a subscription basis), and “in-house” solutions where corporations scan their SDS into a database rather than use a paper filing system. Other versions that are falling by the wayside in the Internet era are CD-ROM subscriptions (renewable on a quarterly or annual basis) and fax-on-demand services (that will fax you a copy as soon as you request one). Again, paperless compliance works only if the employees have “ready access“. If your database is accessible to the required employees on your corporate intranet, you’ll probably be OK. This assumes that you have a written contingency plan to access SDS information in the event of a power failure or other emergency. Such a plan might include keeping copies on file or using a battery-powered laptop computer. For on-line SDS subscriptions, OSHA will permit you to use a telephone as a backup system (but not as a primary system) instead of requiring you to have printed copies. Material Safety Data Sheets (01/30/1997). There is no specific time limit used to determine whether an access barrier exists. For a more detailed discussion, consult OSHA Compliance Directive CPL 02-02-079, Appendix A, Paragraph G.7. The OSHA inspector will interview your employees to ensure that they have “ready access” to the SDS’s and have been trained on the chemical hazards in their workplace. Failure to provide ready access is considered a severe violation during an OSHA inspection, meaning that it is potentially subject to maximum fines exceeding $12,000. Full compliance means that every employee that uses hazardous chemicals in the workplace (or who could be expected to be exposed in a “foreseeable” emergency) has “ready access” to an SDS. Failure to provide SDS’s at multi-employer work sites. OSHA is also raising the maximum penalty for “willful” violations from $70,000 to $124,709 (also indexed for inflation). Willful violations are issues the employer should have been aware of (based on previous inspections or workplace communications) and deliberately chose not to abate. And in all cases, these various penalty amounts are per violation, meaning one workplace could have dozens of violations during a single inspection. As of 2016, most SDS violations have been substantially lower than the maximums given above. You might simply get a warning if you have only a few minor infractions. See this OSHA interpretation letter from 1995 for more information. The Hazard Communication Standard (which includes SDS’s) is the most frequently cited OSHA standard in general industry and is the second most-cited standard across all categories. Acccording to FY2015 OSHA statistics, there were 3,210 inspections that reported violations of 29 CFR 1910.1200, resulting in 5,804 citations and fines totalling $3,377,765. That’s an average fine of $581 per citation or $1,052 per inspection, although some of these citations carried no fine. 352 of the citations were related to obtaining or developing SDS’s under paragraph g(1) and 505 citations were related to maintaining SDS’s and keeping them readily accessible under paragraph g(8) (but we don’t have a breakdown of penalties for these, sorry). Note: OSHA has a Severe Violator Enforcement Program which targets firms that have demonstrated indifference to their OSH Act obligations by willful, repeated, or failure-to-abate violations. Although SDS issues alone will not trigger SVEP criteria, they can certainly contribute to the Severe Violator designation. It depends. The HazCom standard is a performance-based standard which means that OSHA does not concern itself with how you comply, just that you manage to do it. See this 1994 OSHA Interpretation for a specific answer to this question. SDS’s must be maintained on site (including electronic access methods). SDS’s must be readily accessible during each work shift to employees when they are in their work area(s). See the ready access question (above) for more about “readily accessible” and what an OSHA inspector will look for in determining compliance. 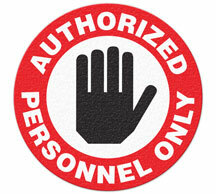 Control access to your facility with Admittance signs and floor markers from Safety Emporium. This topic is covered explicitly in paragraph (e)(2) of 1910.1200 under “multiemployer workplaces”, so follow that link for detailed information on this topic. Each contractor or employer has a responsibility to make sure the hazards of their chemicals (and, therefore, SDS’s) are known to all workers on the site. See the OSHA interpretation, HCS training for employees contracted to jobs working under the supervision of another employer, for additional information. The HazCom standard is performance-based meaning that OSHA does not care how the employers share this information as long the employees have no barriers to accessing the information when they need it and the plan for sharing this information in writing. Failure to make SDS’s readily available to all workers at a multi-employer worksite would be considered a severe violation during an OSHA inspection, meaning that it is potentially subject to maximum fines exceeding $12,000. The simplest solution for the multi-employer workplace is to provide each other copies of the SDS’s or to add your SDS’s to their collection (as long as your employees have access). Of course, other training, labeling etc. may be required; SDS’s are only a part of the HazCom standard. As mentioned above, the OSHA HazCom standard is a performance-based standard. That means OSHA is not concerned with how you organize your SDS files, only that you “ensure that they are readily accessible during each work shift to employees when they are in their work area(s)”. This can be by hardcopy, computer, internet subscription, fax etc., as long as the employee is able to use your system to find any sheet when he/she needs it. See this OSHA interpretation for more info. 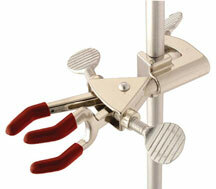 Safety Emporium carries all kinds of laboratory stands and supports such as this handy scissors jack. For an electronic system using an SDS software program or on-line service, organization is not really an issue as employees can call up SDS’s using various criteria such as chemical name, CAS Number, or chemical formula. But for those of you who simply file paper copies, how to order your filing cabinet or 3-ring binder is a more difficult question. Again, OSHA doesn’t care how you choose to do it, but employees have to be able to find the information when they need it. For this reason, many people prefer to file their SDS’s alphabetically by name. The biggest drawback to this is that one person might call a particular chemical “acetone” and another might call it “2-propanone”. Both are synonyms for the same chemical compound. We therefore suggest that you train your employees to file by the name listed on the container label. If you are into overkill, for each chemical synonym listed on the SDS, make a new page with that name as the title and write a note on it such as “see the SDS for acetone”. 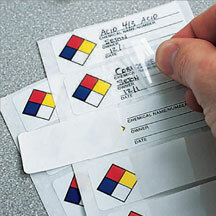 Another popular method in chemical laboratories is to file SDS’ by molecular or chemical formula. The standard convention is to list carbon and hydrogen first, followed by the other chemical elements in alphabetical order. If there is no carbon in the compound, then simple alphabetical order is used. For example, potassium carbonate, K2CO3, would be listed as CK2O3 and magnesium sulfate, MgSO4, would be listed as MgO4S. The drawbacks here are that not all materials have chemical formulas (such as cleaning agents), and this system is more difficult for non-chemists. Every case is different and we really don’t feel comfortable (from a legal and moral standpoint) trying to address such a complex issue. Hopefully, the points raised in this document will give you an idea of the parameters involved. Take a look at the previous question for some specific insights. The one recommendation we will make is that you maintain your paper copies. Beyond that, we’ll also say that some organizations will find it very advantageous to utilize one of the “paperless compliance” services discussed in this document. But that’s where our specific recommendations end, sorry. We have all kinds of signs and labels at Safety Emporium that can assist you with OSHA compliance. OSHA requires that your employees have “ready access” to the SDS’s. Unless you had an electronic database or SDS supplier/subscription that was guaranteed to have the SDS you need, your employees would likely have to spend many minutes to find the SDS they need in an emergency situation. In fact, it’s likely they might be completely unsuccessful in their search. Even if it were permitted, as a paperless compliance technique, you would need to have a backup capability in the event of a power failure or unavailability of Internet service. And if you’re going to that trouble, you might as well more simply purchase appropriate software or subscribe to an Internet service. Or stick with paper copies. If your company deals with exotic materials that are not in the common free databases, you’d have to maintain local copies of those SDS anyway, so it would make more sense to maintain all of them using one method. That said, you can use our SDS page (and search engines or various Internet collections) as a source to find the electronic and hard copies of SDS’s that you need for your collection or to see if more recent sheets are available. Moreover, with the advent of the HCS 2012 adoption of the GHS system, you will need to train your employees on labeling, pictograms, and other key elements of the HCS. Yes and no. Paragraph (g)(2) of 29 CFR 1910.1200 of the OSHA Hazard Communication Standard requires that authors of SDS’s shall ensure that it is in English (although the employer may maintain copies in other languages as well). The same is true of label requirements. At first glance, it appears you do not need to make special provisions. The hazards of all chemicals they use. SDS’s are part of the hazard communication process and training requirements; if your employees do not understand English and you do not provide training in a language they comprehend then you are not in compliance. See this 1988 OSHA interpretation titled “The employer must provide the 1910.1200 verbal training in a language that is comprehensible”. In practical terms, this means that an employer must instruct its employees using both a language and vocabulary that the employees can understand. For example, if an employee does not speak or comprehend English, instruction must be provided in a language the employee can understand. Similarly, if the employee’s vocabulary is limited, the training must account for that limitation. By the same token, if employees are not literate, telling them to read training materials will not satisfy the employer’s training obligation. As a general matter, employers are expected to realize that if they customarily need to communicate work instructions or otherworkplace information to employees at a certain vocabulary level or in language other than English, they will also need to provide safety and health training to employees in the same manner. Of course, employers may also provide instruction in learning the English language to non-English speaking employees. Over time this may lessen the to provide OSH Act training in other languages. See the International section of this FAQ for information on finding non-English sheets. The revised Hazard Communications Standard’s (HCS) total cost, an estimated $201 million a year on an annualized basis for the entire United States, is the sum of four major cost elements. (1) OSHA estimates that the cost of classifying chemical hazards in accordance with the GHS criteria and revising safety data sheets and labels to meet new format and content requirements would be $22.5 million a year on an annualized basis. (2) OSHA estimates that training for employees to become familiar with new warning symbols and the revised safety data sheet format under GHS would cost $95.4 million a year on an annualized basis. (3) OSHA estimated annualized costs of $59 million a year for management to become familiar with the new GHS system and to engage in other management-related activities as may be necessary for industry’s adoption of GHS. (4) OSHA estimated annualized costs of $24.1 million for printing packaging and labels for hazardous chemicals in color. We suspect that point 2 grossly underestimates the cost of hazard classification as companies that used to write SDS’s themselves will either have to spend considerable time learning the process or outsource their SDS production. Nonetheless, there will be considerable cost savings based on standardization of data and formats. On an individual basis, SDS Solutions has a simple calculator that uses 5 pieces of data to calculate your costs. That’s a tough question that only an attorney should answer, especially with the U.S. jury system! Given that tobacco companies seem to escape liability for selling products that are known to be defective while companies like Dow Corning are put into bankruptcy when there is zero evidence supporting the claims against them, we’d be fairly reluctant to hazard a guess. In other words, you won’t receive an OSHA fine or citation in the circumstance OSHA describes, but that doesn’t mean you won’t get hit with a lawsuit. You’ll need to contact an attorney who specializes in product liability for a complete answer to your question. Note that if you do become aware of a hazard/precaution that is missing from an SDS, then you need to make your employees aware of the new hazard/precaution in writing. You should also make an effort to notify the manufacturer. See the OSHA interpretation, “Requirements of the HCS and the employer’s ability to rely on a manufacturer’s hazard determination” for futher information. See also “Where does one submit SDS’s for official approval? and Does OSHA determine what information is required under health hazard information or can we use our own data? elsewhere in this FAQ. You can check out our annotated list of SDS suppliers as well as our annotated list of SDS software. The firms listed there pay a nominal fee to be listed, which helps us bring you this free SDS safety information portal. 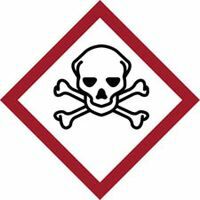 If you need SDS binders, SDS CD-ROM’s, training posters, Hazard Communication labels and more, check out our on-line store, SafetyEmporium.com. To meet our visitor’s needs, we have compiled this list of pertinent reference books that are terrific resources. You can also search Amazon.com on-line from that page. 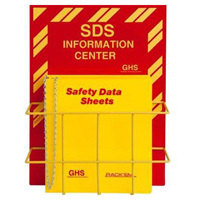 If you need SDS binders, wall-mounted centers, training posters, Hazard Communication labels and more, check out our on-line store, SafetyEmporium.com. Notice: This page is copyright 1998-2018 by ILPI and was last updated Monday, July 4, 2016. Unauthorized duplication or posting on other web sites is expressly prohibited. Disclaimer: The information contained herein is believed to be true and accurate, however ILPI makes no guarantees concerning the veracity of any statement. Use of any information on this page is at the reader’s own risk. ILPI strongly encourages the reader to consult the appropriate local, state and federal agencies concerning the matters discussed herein.